I used to work at an ad agency in metro Detroit. I love that city, I really do. I could devote a whole post (or two or ten) about my love for it but will start by talking about the food in the cafeteria at the ad agency I used to work at. It was run by people of Lebanese and Yemeni descent and the food very much reflected that. I had a few exposures to Middle Eastern food before living in metro D but it was pretty much restricted to pita and hummus. The cafeteria opened my eyes to the beauty of things like shish tawook, chicken kafta, and a beautiful dish called mujadera. 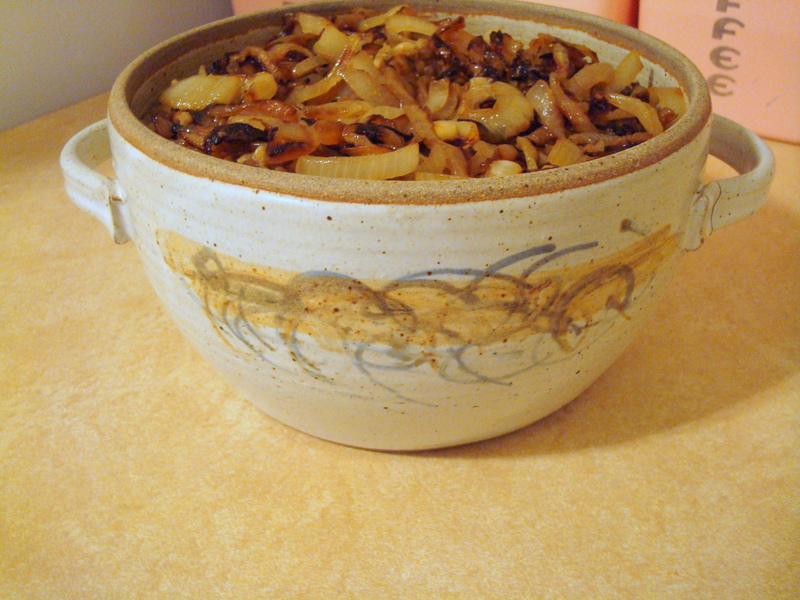 Mujadera involves lentils, (and you know how much I love lentils) rice, and onions– both cooked and caramelized. I had plenty of rice on hand but also had farro and thought that might make a nice substitute. 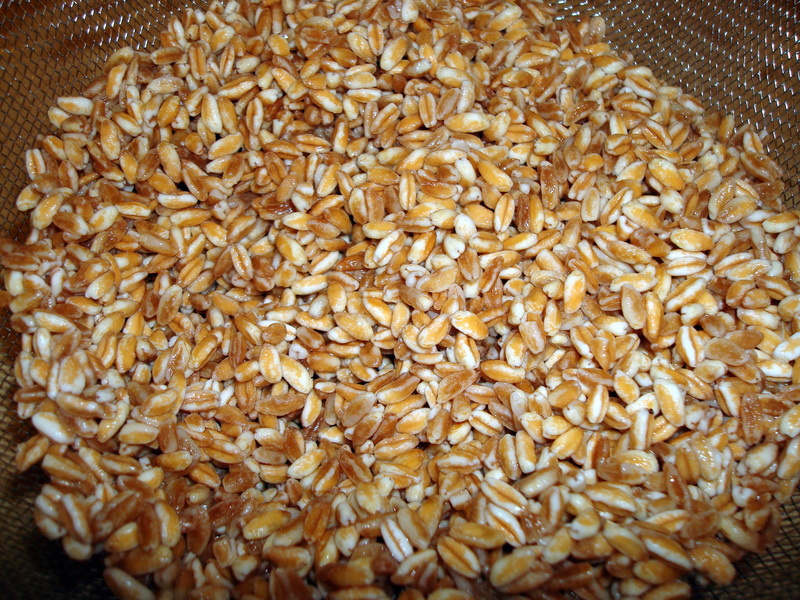 Farro is in the wheat family, similar to barley. It is hearty and nutty and delicious in savory dishes. While the lentils, onions, and farro were cooking on the stovetop I turned my attention to caramelizing some onions to top the mujadera with. 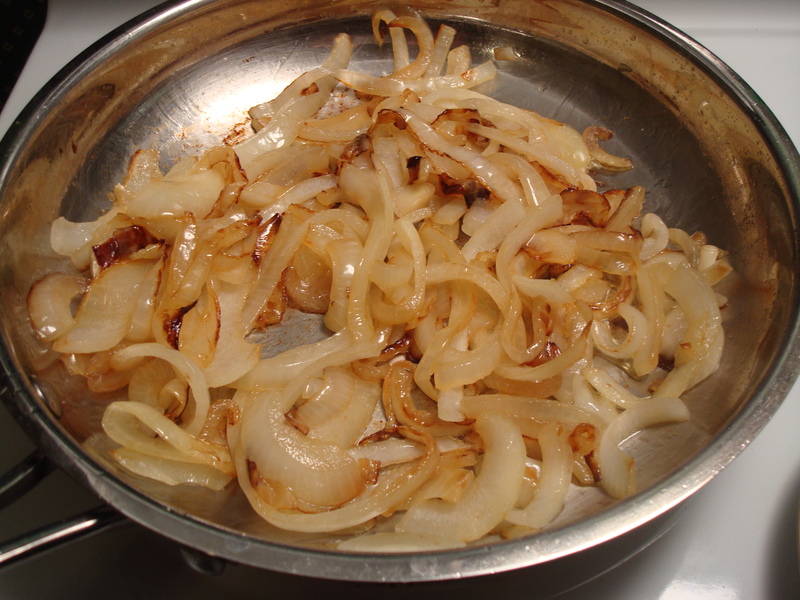 Caramelizing onions is easy and the results are delicious. I’d venture a guess that even people who don’t like onions under normal circumstances like caramelized ones. If I were making caramelized onions to go on a burger or to top a pizza I might stop at the below…. But for this dish you want them brown like the below image. I don’t even mind if they’re a little on the black side even though the recipe warns you to be careful of burning them. Place 1 tablespoon of the oil in a large, deep saucepan and turn the heat to medium. 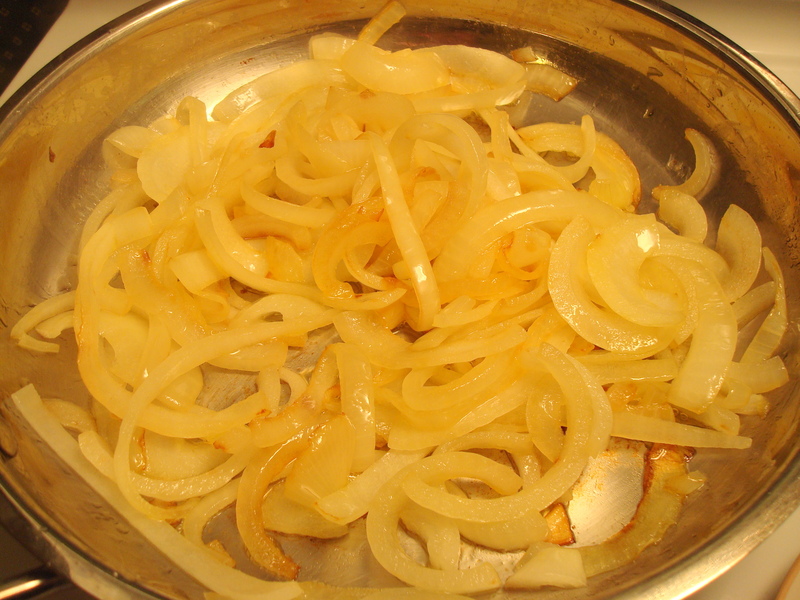 A minute later, add the chopped onion and cook until it begins to become tender, about 5 minutes. Add the garlic, cumin, salt, and pepper, and cook 3 minutes more. Add the lentils, stir, and add about 4 cups liquid. Cook, stirring occasionally, until the lentils begin to soften, about 20 minutes. 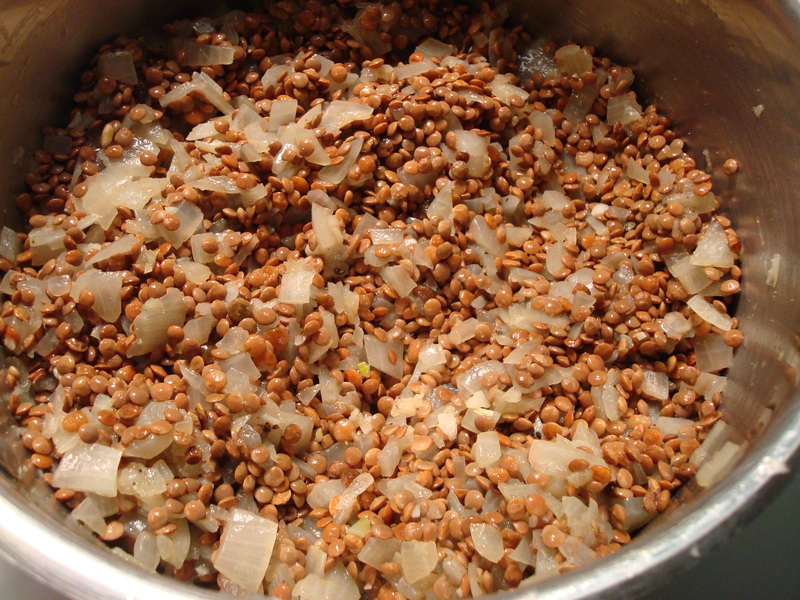 Add enough of the remaining stock or water so that the lentils are covered by about an inch of liquid. Stir in the rice. Cover and turn the heat to low. Meanwhile, place the remaining oil in a medium skillet and turn the heat to medium-high. 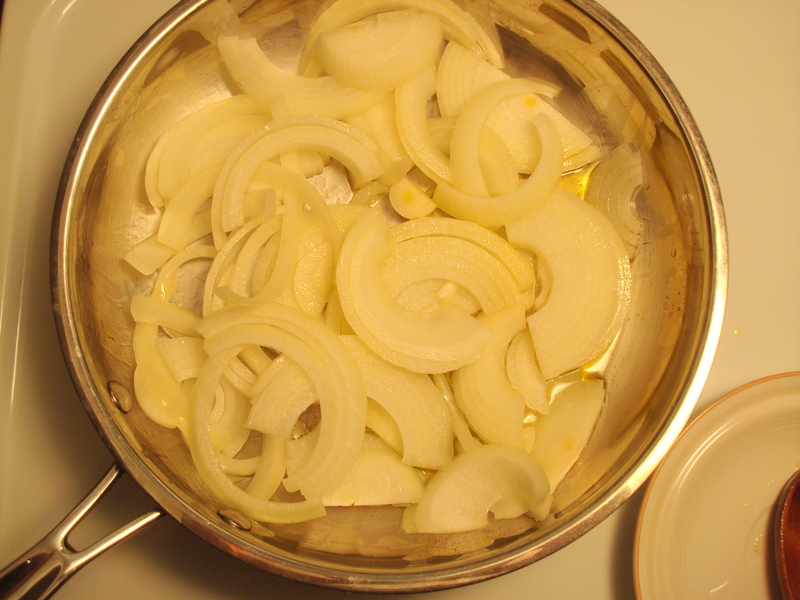 Cook the onion slices, stirring frequently, until they are dark brown but not burned, about 15 minutes. 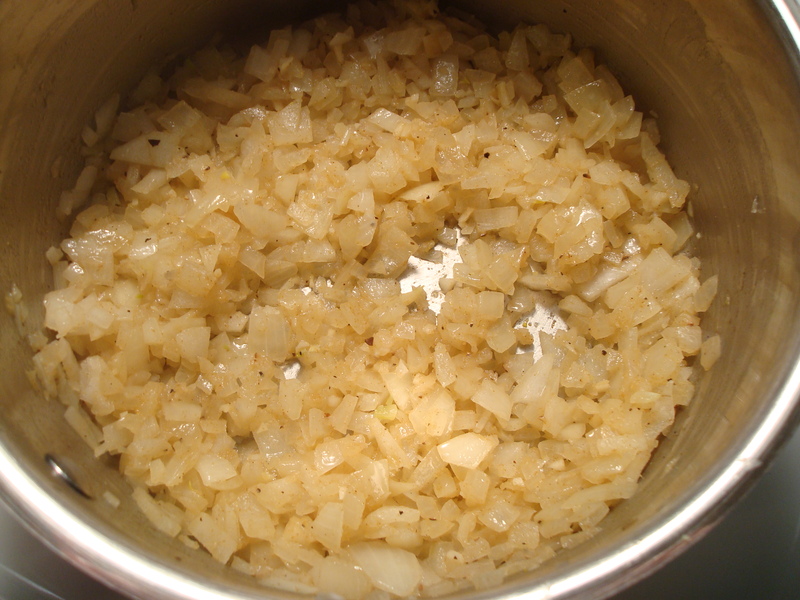 Scoop out the onions and let them drain on paper towels while you finish cooking the lentils and rice. Check the rice and lentils after 20 minutes. When both are tender and the liquid is absorbed, the dish is ready. If the lentils and rice are not tender, add more liquid, cover, and cook for a few more minutes. If, on the contrary, the rice and lentils are soft and there is much liquid remaining, raise the heat a bit and cook, uncovered, stirring until it evaporates. Serve the rice and lentils, garnished with the caramelized onions. I made this recipe the other day with cracked wheat. It was so gorgeous and perfectly cooked when I lifted the lid that I nearly applauded. My 8-year-old daughter loved it and and immediately named it ‘mujaja.’ She ate the leftovers for days and kept saying, ‘I need my mujaja.’ Very family friendly, kid friendly and enough to serve a crowd. Thank you!